Got back pain? You’re not alone. Consider these do’s and don’ts to help you get through and out of injury. DO: Strengthen your core. Regular exercise strengthens important core muscle groups including obliques, pelvic floor and deep abdominals. DON’T: Sleep on your stomach! Stomach sleepers put the largest amount of pressure on their spine, head and neck leading to pain throughout the day. DO: Keep hydrated. Because most of our body is water, it needs proper, steady intake to keep it functioning properly. DON’T: Sit for long periods of time. Do you work behind a desk all day? Set a reminder to get up and move once each hour. DO: Visit our practice to get checked. You shouldn’t have to live in pain, and chiropractic care works to correct the underlying issue. Give our practice a call today. Aging means celebrating the best years of your life with the ones you love. For some, it might mean travelling. For others, relaxing. 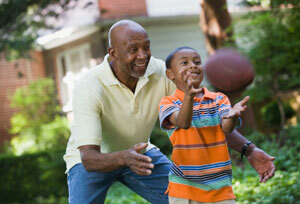 Whatever it means to you, making time for exercise well into your elder years is crucial. To start, it’s important to condition the mind to accept the challenges that may come with physical exertion. Don’t do this by setting out to run five miles after a year of inactivity. Do this by setting small goals like adding a quarter-mile to your walk each day until you feel like you’re back in the workout groove. This will also help you avoid unnecessary injury. To improve balance and lower the likelihood of falls during activity, consider making an appointment with our practice for an adjustment. The health of your spine plays a vital role in your physical wellness! As chiropractors, our job isn’t just to get you healthy—it’s to help keep you healthy, too. Sometimes, this goes beyond adjustments and into your diet. Admit it or not, everyone snacks—but not always healthily. We’d like to offer our input with a few tips to help you snack smarter. 1. Keep chewing! Did you know that a fully chewed bite can mean moving your teeth up and down 40 times? Studies show that people who chew thoroughly feel fuller than those who skimp on chewing. 2. Fill gaps with snacks. 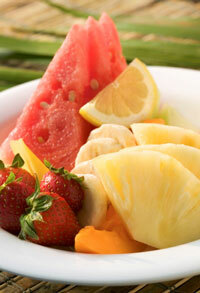 Finding it hard to fit in the recommended servings of fruits and veggies each day? Consider snacking on frozen grapes or celery with peanut butter to fill nutritional gaps in your diet. 3. Plan your snacks. The brown-bag approach never fails! Pack your snacks yourself so you aren’t stuck running to the vending machine when hunger strikes.